Nothing compares to getting in a warm bed. 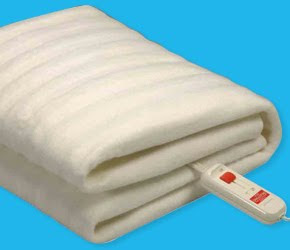 We got ourselves a Pure Pleasure Electric Blanket (fitted under-blankets). 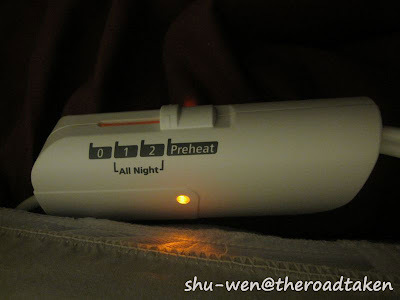 What's cool about the under-blankets is that it has dual heat-switches for each side, each working independently. Meaning if you can choose how warm you want your bed to be, while your partner can also choose for himself / herself their preference. It is also made of a washable non-allergenic polyester fabric. The blanket is fitted under the bed sheet and it also double up as a protective cover for the mattress. 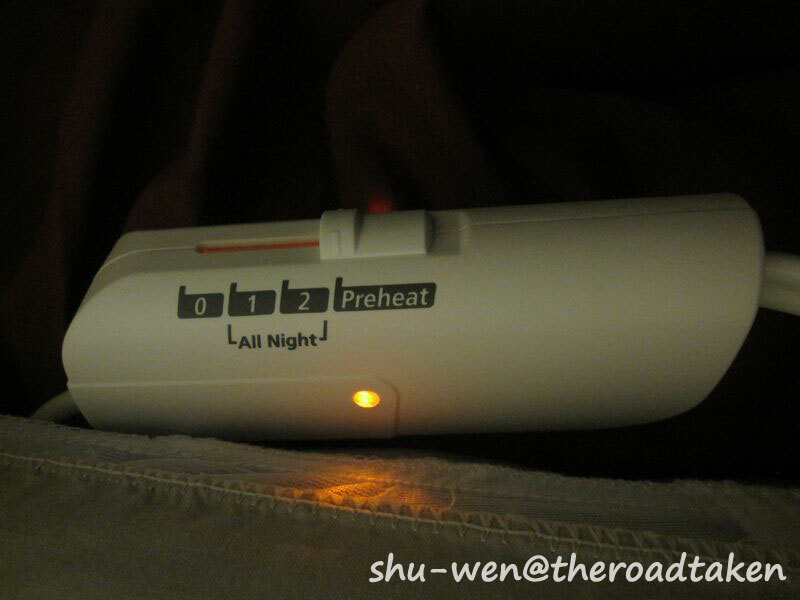 There are 3 heat settings to choose from : 1, 2 and Preheat (the warmest). I normally leave it on Preheat settings before I run my bath. Of course, I put the duvet blanket over the bed to keep the warmth in. After around 30-45 minutes, the bed is ready... 'Ngam ngam ho' after finishing my bath! 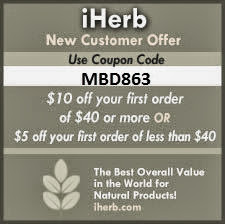 Price : With this brand, it is economical, costing less than a 60 watt light bulb to run. Safety : It has a safeguard protection against overheating. Overall, I am very happy with the product. Not sure how the brand compared to others as this is only my first electric blanket.